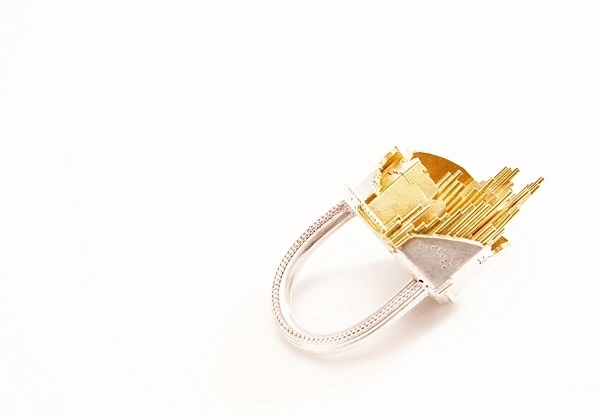 This statement 'Inverlair' ring was the starting point for developing my art jewellery pieces into more wearable pieces of jewellery. The Inverlair ring is a multi-dimensional piece, with a heavy set width, yet lower in profile than the ‘Fragile Landscape’ ring. It was made in a Limited Edition for Astley Clarke in 2012. Custom orders made available from 2018 onwards. Contact for details.